One of the only professional painters to settle permanently in Australia and make a living from his work during the first half of the 19th century, Conrad Martens was Sydney’s pre-eminent landscape painter. Versed in the style of 17th-century French artist Claude Lorrain and the most famous British artist of his age, JMW Turner, Martens adapted his academic approach to painting to respond to the unique characteristics of the Australian environment and the local conditions of the colonial market. The son of an English mother and the Austrian Consul General in London, Martens pursued a career in painting following his father’s death in 1816. From the age of sixteen he studied under landscape watercolourist Copley Fielding, absorbing the traditions of the English watercolour school and Joshua Reynolds’ theories on painting. 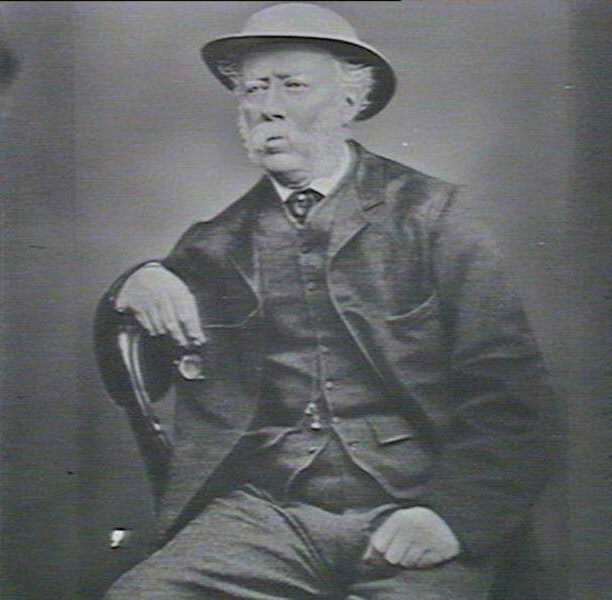 In 1833 Martens joined the HMS Beagle on a scientific survey expedition at Montevideo, South America, as ship’s artist, replacing the ailing Augustus Earle. He befriended the ship’s naturalist, Charles Darwin, whose empirical observation of landscape forms and climatic conditions would influence Martens’ practice. Martens left the Beagle in Valparaiso in 1834 and travelled to Australia via New Zealand and Tahiti, settling in Sydney in 1835 and setting up a studio in Pitt Street. Patronised by the colonial elite, he fulfilled many commissions for watercolours of the local landscape and Sydney Harbour, including Elizabeth Bay c1838, which features the grand neoclassical edifice of Elizabeth Bay House, built for the former colonial secretary and noted naturalist Alexander Macleay and set within a picturesque framework of asymmetrical foreground foliage leading to a view of the harbour. An 1835 notice in the Australian reveals that Martens travelled to the Illawarra region and the Blue Mountains 'in search of the picturesque’, making several sketches which would serve as the basis for later commissions. His Stalagmites, Burragalong Cavern c1843 includes a strategically-placed artist’s easel in the left foreground of a shadowy stony chamber, serving as an advertisement for his romantic landscape views. Due to an economic depression in the colony, Martens’ fortunes dwindled in the 1840s and he turned to lithography to supplement his income, producing Sydney from St. Leonards c1842, which was published in London, and the series Sketches in the Environs of Sydney , the stones of which he prepared himself and printed in Sydney. 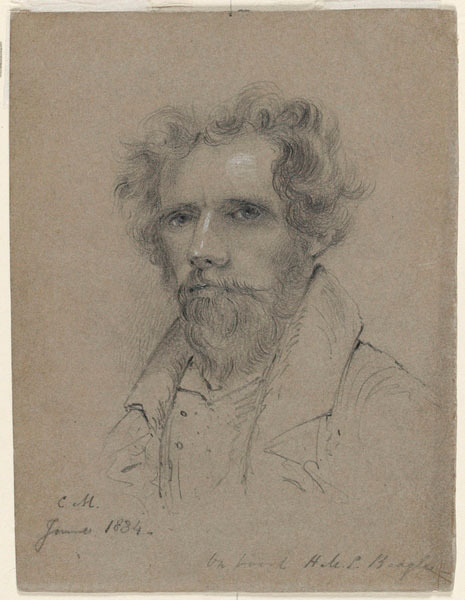 In 1851 he visited Brisbane and the Darling Downs, New England, as well as the Hunter region of New South Wales, making watercolours of properties, drumming up new commissions from pastoralist families and taking on a number of private students. His favourite subject however, remained Sydney Harbour and he produced numerous compositions of this subject, exemplified in the dramatic View of the Heads, Port Jackson c1853, a storm-tossed scene of foaming waves illuminated by a shaft of light streaming through gathering rain clouds that reveals the influence of Lorrain and Turner. Herein then lies in a great measure the art of landscape painting, not in that of imitating individual objects, but the art of imitating an effect which nature has produced with means far beyond anything we have at command. In 1862 Martens took the salaried post of parliamentary librarian to secure himself financially as his health declined. 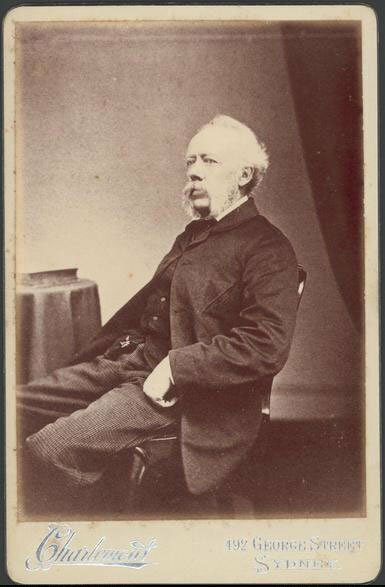 From the 1870s his artistic output dwindled and he made fewer expeditions away from Sydney, with the exception of visits to the Lithgow Valley in 1872 and 1873 which inspired a significant series of watercolours devoted to the Zig-Zag Railway, an icon of colonial engineering. Martens was formally recognized by the Sydney art establishment in the commissioning of a watercolour by the trustees of the New South Wales Academy of Art in 1874. Credited as the first Australian work to enter the collection of the Art Gallery of New South Wales, Apsley Falls 1874, was awarded a gold medal at the 1875 New South Wales Academy of Art exhibition. Featuring an immense wedge-like mass of rock in a deep ravine, the composition was produced from drawings made on a trip to northern New South Wales and Queensland in 1852 and relates to an earlier commission of the same subject commissioned by the trustees of the National Gallery of Victoria in 1873. Throughout his career, Martens meticulously documented his commissions and made extensive notes of his paintings, which form a comprehensive record of his oeuvre. 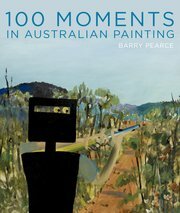 His watercolours featured in the exhibition, The Australian Landscape at the Art Gallery of South Australia in 1972, and in Nineteenth-Century Australian Watercolours from the Collection at the Art Gallery of New South Wales in 1991.